In an age of recycling, farm-to-table initiatives and hybrid vehicles, environmental conservation is more important than ever. 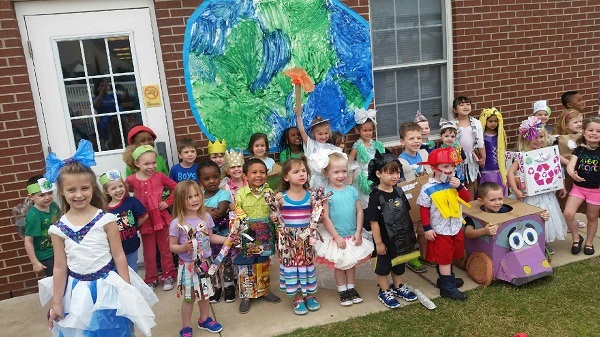 For the eighth year in a row, pint-sized eco-crusaders are getting in on the fun during The Goddard School’s weeklong Root for Earth event. Seven years ago, The Goddard School®, the nation’s best-in-class preschool franchise system focusing on learning through play for children from six weeks to six years old, began dedicating an entire week to an environmental stewardship campaign to educate children, families and community members on how they can conserve energy, cut back on waste and preserve natural resources. 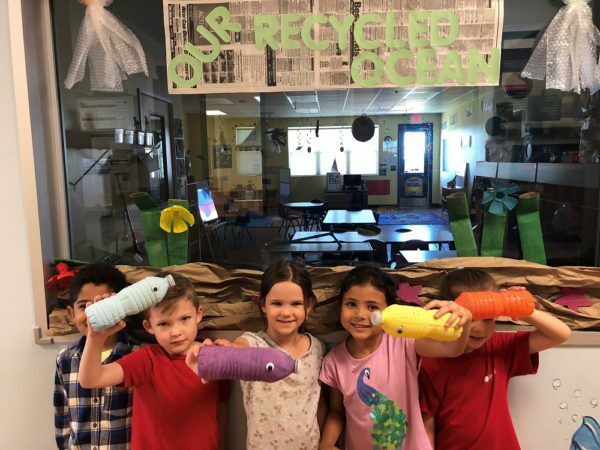 Now, more than 480 Goddard School preschools across the country are gearing up for the eighth consecutive year of Root for Earth, a week-long environmental campaign where children plant, build with recycle materials and learn how to incorporate conservation into their everyday routines. During Root for Earth, preschoolers from The Goddard School will participate in a range of engaging activities including planting gardens, hosting recycled fashion shows, building robots from recycled materials and other eco-friendly projects inspired by STEAM subjects (science, technology, engineering, art and math). Their creations will be shared on The Goddard School’s national Facebook page where the public will be given a chance to vote for their favorite project from May 14 through May 18. Winners will be announced on May 21. In addition to the wide array of eco-friendly fun, students will participate in a signature Root for Earth campaign on Friday, April 20, called “Lights Out!” Every Goddard School across the country will shut off all non-essential lighting for one hour beginning at 10 AM local time, which could save more than 3.4 million watts of energy. This initiative has helped save up to 21.8 million watts of energy since 2011. More than 360 Goddard Schools are joining together in a week of learning activities about saving energy and the environment. The week will culminate with a big “Flip the Switch” event on March 30th at 10 a.m. in their local time zone, a day before the global Earth Hour event, when Goddard Schools will turn off any non-essential lighting for one hour. The worldwide Earth Hour event will take place on Saturday, March 31st, at 8:30 p.m. in each local time zone. Hundreds of millions of people around the world will turn off their lights for one hour in a global call to action on climate change. Additionally, The Goddard School’s national Facebook Page will feature a “Goddard Virtual Garden” where fans will be invited to answer questions and provide their own eco-friendly tips. In return, The Goddard School will virtually plant various fruits and veggies in the virtual garden. At schools around the nation, Goddard School children and their teachers will participate in a variety of fun activities, games and lessons designed to increase their awareness of how energy use and daily activities can affect the future of the planet and how they can conserve energy in their daily lives. During the Stepping Up for the Environment event, Goddard Schools will integrate learning about the environment into art projects, science lessons and even snack time! Some classes will nominate an official “Lightning Bug” who will be responsible for always turning off the classroom lights when the children exit the room. Children will also create invitations asking their parents and neighboring businesses to join them in Stepping Up for the Environment. To learn more about the Stepping Up for the Environment event or The Goddard School, parents are encouraged to visit www.goddardschool.com/green or call 1-800-GODDARD. Recently named No. 1 Childcare Franchise in the United States by Entrepreneur magazine, for the eleventh consecutive year (January 2012) and one of the Top 200 Franchise Systems (in worldwide sales), by Franchise Times, for the fifth consecutive year (October 2011); Goddard Systems, Inc. (GSI) is expanding The Goddard School® network throughout the United States. Headquartered in King of Prussia, Pennsylvania, GSI currently licenses 380+ franchised schools with more than 45,000 students in 35 states. With a successful system in place and dedicated franchisees, GSI is the acknowledged leader in franchised childcare and a premier childcare provider in the United States. To learn more, visit http://www.goddardschool.com for more information. Since its inception four years ago, Earth Hour has captured the world’s imagination becoming a global phenomenon. Last year, for Earth Hour 2011 over one billion people in 4,000 cities in 126 countries on seven continents turned out. In the U.S. alone, 90 million Americans officially voted for action with their light switch. These people and municipalities were joined by iconic landmarks including: the Las Vegas Strip, the Chrysler and Empire State Buildings in New York City, the Space Needle in Seattle, Church of Latter-Day Saints Temple in Salt Lake City, the Gateway Arch in St. Louis and the National Cathedral in Washington DC. International landmarks that turned off their lights included the Great Pyramids of Giza, Parthenon in Athens, St. Peter’s Basilica in Vatican City, Big Ben and Houses of Parliament in London, Paris’ Elysee Palace and Eiffel Tower, Beijing’s Birds Nest and Water Cube, Symphony of Lights in Hong Kong, Sydney’s Opera House and Christ de Redeemer statue in Rio de Janeiro. Goddard Systems, Inc. (GSI), parent company to 370-plus-unit preschool franchise The Goddard School, is proud to announce it will join with over 90 million Americans across the nation to celebrate World Wildlife Fund’s Earth Hour 2011. To mark this global call to action on climate change, on Saturday, March 26 at 8:30 p.m. hundreds of millions of people around the world will turn off their lights for one hour. Goddard Schools across the nation will help spread the message that by working together, the nation’s youth can make a positive impact on the environment and propel the country toward a sustainable future. Goddard Schools in 37 states will launch an entire week of activities and lesson plans beginning March 21 leading up to a big celebration for the Stepping Up for the Environment event on March 25 at 10 a.m., a day before the global event. Individual Goddard Schools will integrate environmental education into art projects, science lessons and even snack time. Classes will nominate an official “Lightning Bug,” who will be responsible for always turning off the classroom lights when the children exit the room. Students will also create invitations asking parents and neighboring buildings to join them in Earth Hour. On March 25th, Goddard Schools will celebrate Earth Hour with Stepping Up for the Environment. The event will consist of GSI’s 45,000 students participating in a day of environmentally friendly activities. At 10 a.m., schools will turn off any non-essential lighting for one hour. For more information on The Goddard School and Stepping Up for the Environment, visit www.goddardschool.com/Default.gspx. We are proud to announce The Goddard School has joined the Earth Hour movement for the second consecutive year. Across 350 Goddard Schools nationwide, more than 40,000 children will help spread the message that by working together, each one of them can make a positive impact toward a sustainable future. The Goddard Schools will launch an entire week of activities and lesson plans beginning March 22 leading up to a big celebration for the Stepping Up for the Environment event on March 26 at 10 a.m., when schools will turn off any non-essential lighting for one hour. In preparation for Earth Hour, Goddard Schools will integrate the environment into a number of engaging learning activities including art projects, science lessons and even snack time! Classes will build musical instruments out of recycled materials and hold newspaper fashion shows using costumes that students create from old newspapers, magazines and paper bags. Schools will also nominate an official “Lightning Bug,” who will be responsible for always turning off the classroom lights when the children exit the room. This year, Goddard Schools will get global. Classes will team up with preschools in sister cities across the globe and exchange drawings and ideas for helping the environment. 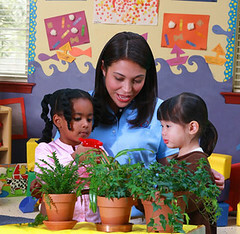 Then the children will “green” their own communities, by planting trees and picking up trash around school grounds. They will also create invitations asking parents and neighboring buildings to join them in Earth Hour, as well as city officials and environmental leaders, to join them in the week’s Earth Hour activities. On March 26, a day before the global Earth Hour event, Goddard Schools will celebrate Earth Hour with the Stepping Up for the Environment celebration. Goddard Schools across the country will create a large banner and students will decorate it with handprints and footprints, leaving their own little “carbon” footprint. Then, at 10 a.m., schools will turn off any non-essential lighting for one hour. Participation in Earth Hour supports Goddard Systems, Inc.’s ongoing efforts and commitment to the environment. Recently, Goddard has become involved with Renewable Energy Credits (RECs) which give schools the option of purchasing wind energy credits, offsetting 100% of a schools electricity usage with clean, renewable wind power.